I'll keep this short and sweet. We love a good crumb bar, and since cherries are in season we felt the need to come up with a cherry dessert. 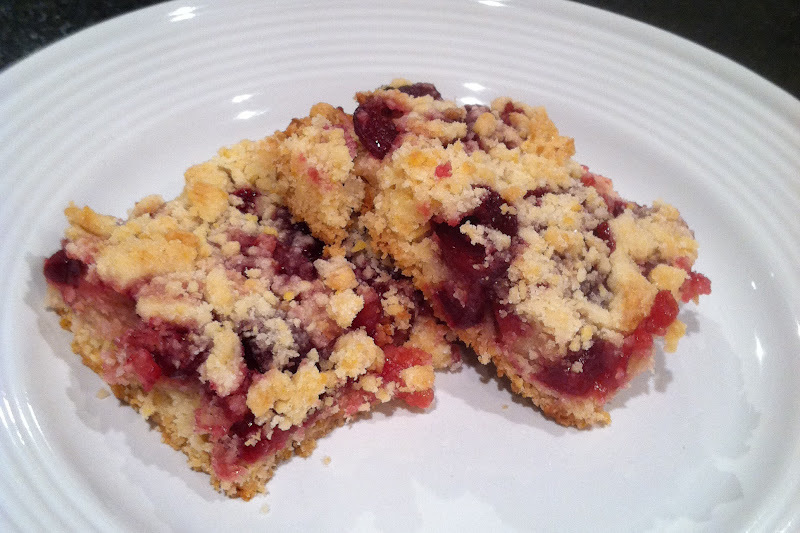 Using our favorite crumb bar recipe and simple pantry items, we substituted the blueberries for approximately 4 cups of pitted and quartered cherries for decadent cherry crumb bars. We'll be eating them for breakfast and dessert all week! These look simpy scrumptious. 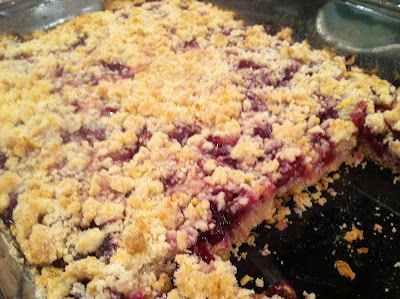 Thankfully, the recipe doesn't seem to be too complicated either. I will surey give it a try tomorrow. I hope they turn out as good as they look.